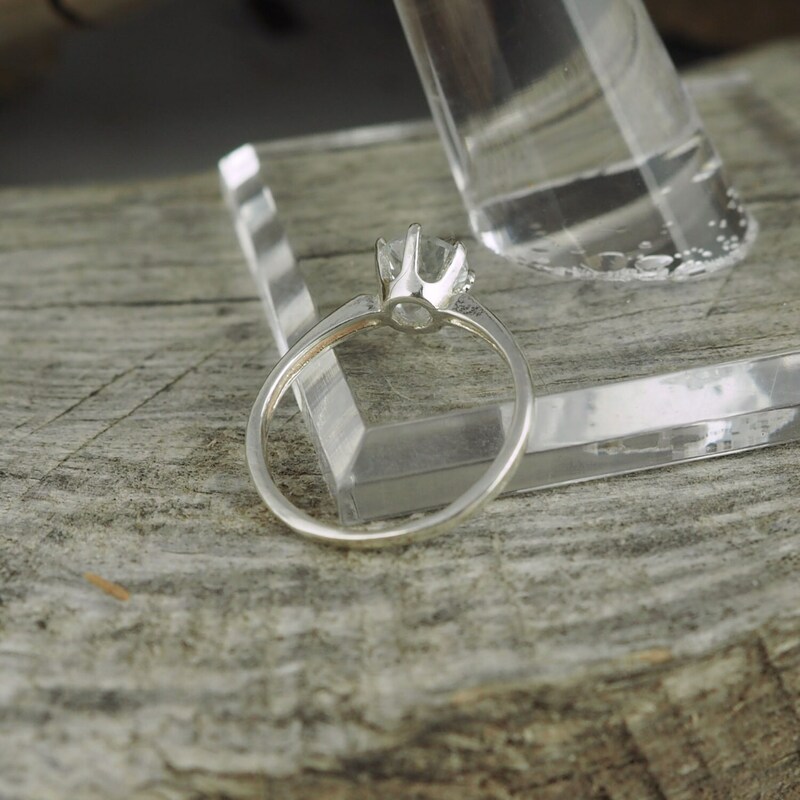 Sterling Silver Ring - Natural White Topaz Ring - Friendship Ring: This very brilliant, sterling silver promise/friendship ring features a natural White Topaz. 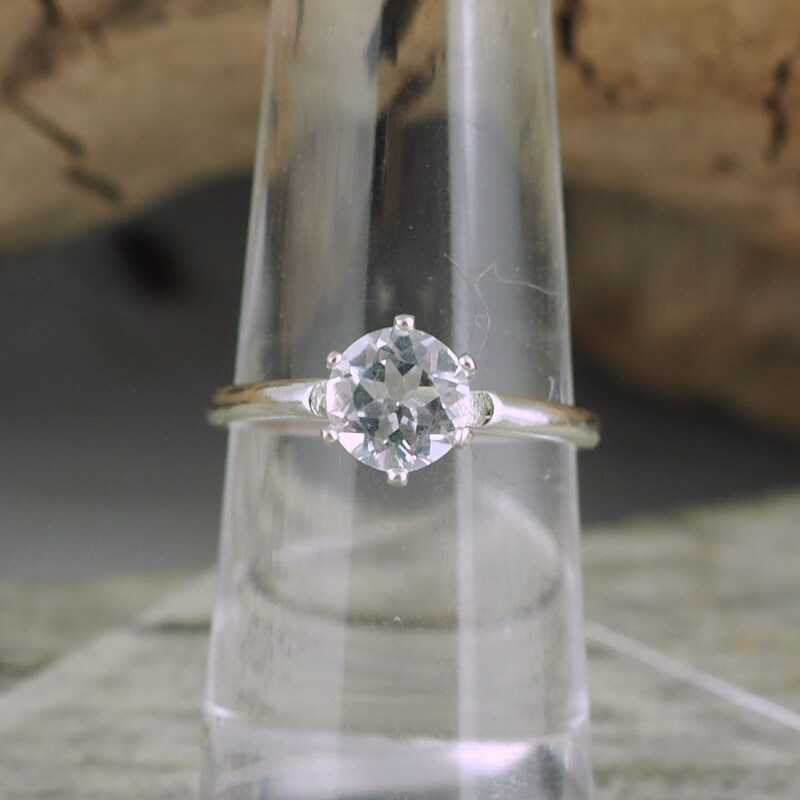 The 6mm White Topaz weighs 1.05 cts. 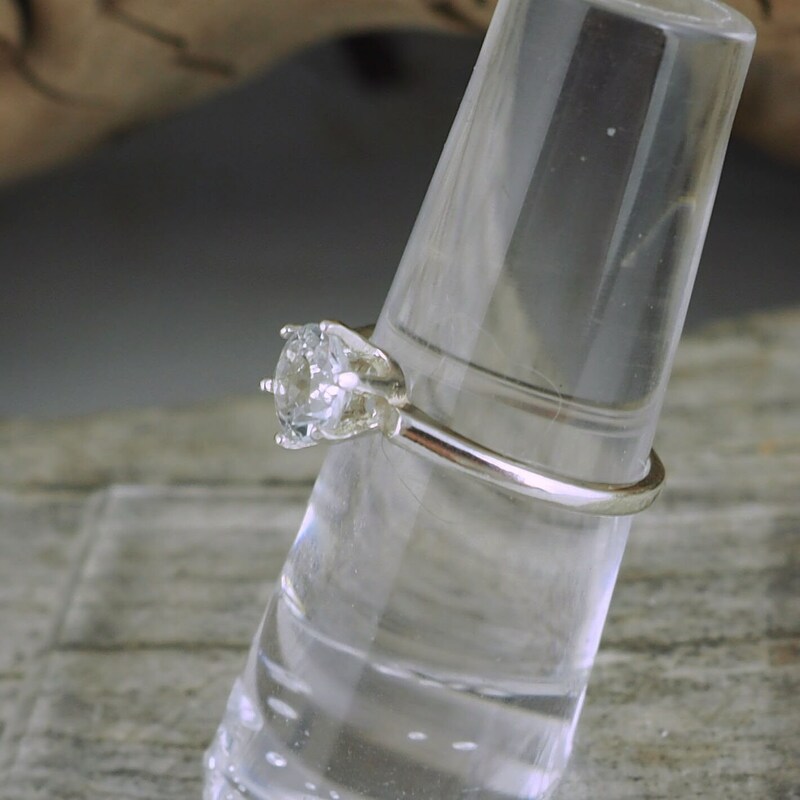 This simple and elegant ring really emphasizes the White Topaz! 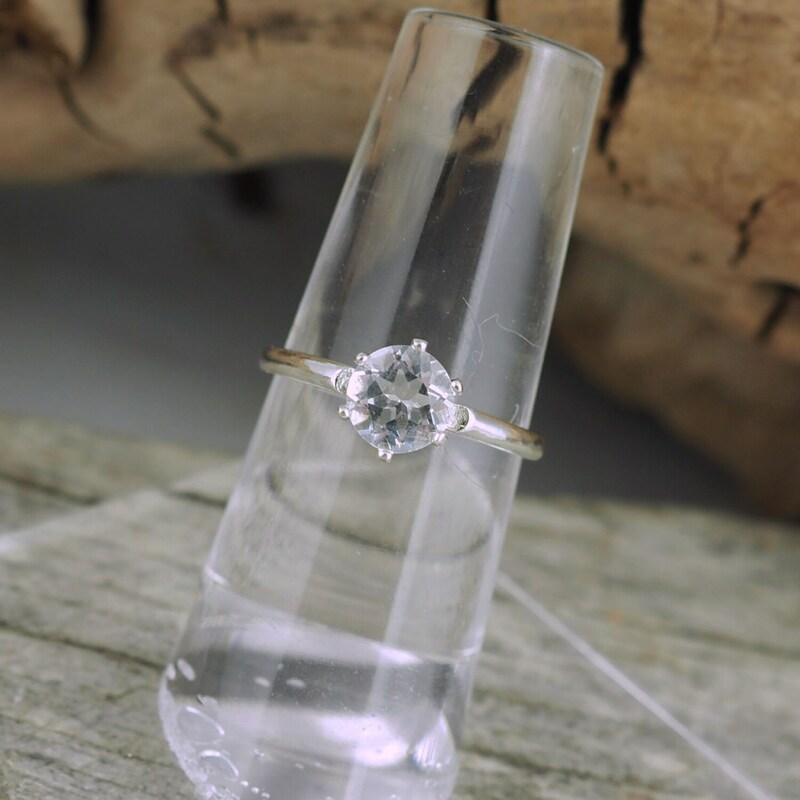 This is an absolutely gorgeous ring and it is offered for a very affordable price! We are proud to offer it for you approval! 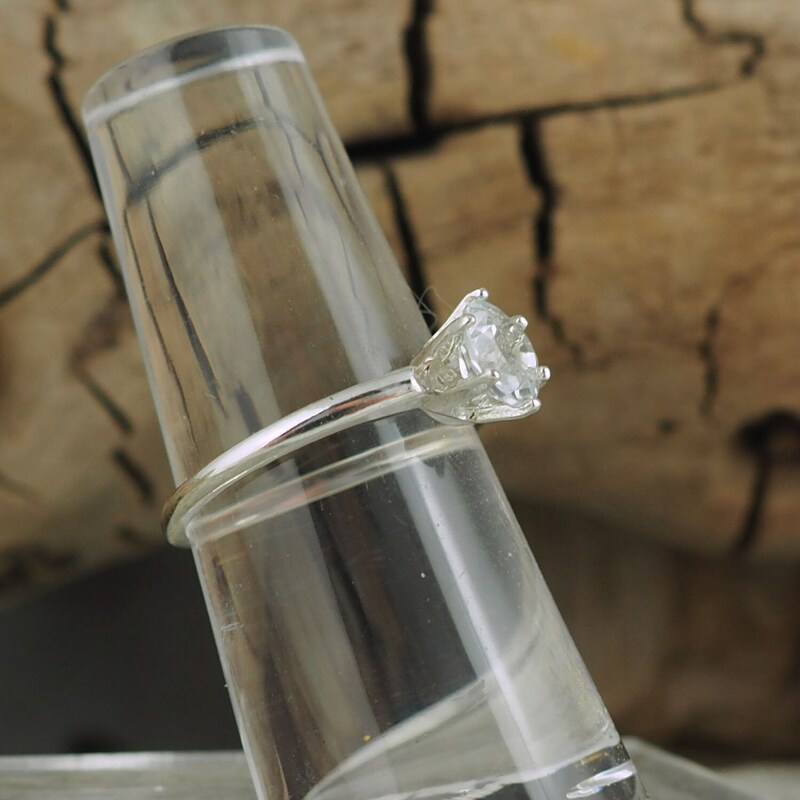 This ring, like all of our rings, is shipped in an elegant gift box.